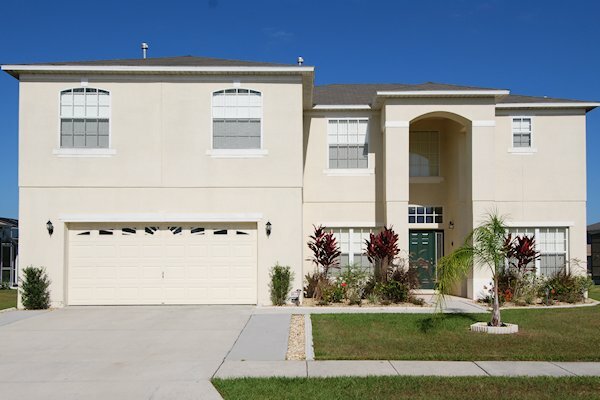 A development of large houses (up to 7 bedrooms) and villas offering lake side views and situated in a conservation area south of Kissimmee towards the city of Poinciana. Offering peace and quiet for those times when you want to be away from the hustle-and-bustle of the Walt Disney World area. 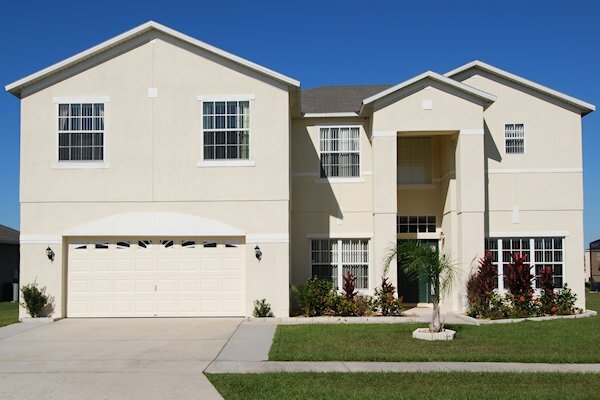 Crescent Lakes is a part-rental part-residential community and offers some great villas for renting when visiting the area. A car is essential when staying in this area. When visiting the parks, there is a choice of routes via CR532 and Interstate 4 or more likely, via Poinciana Blvd onto US192 and then towards Interstate 4. The recent widening of Poinciana Blvd has improved this route and given the shops and outlets en-route, is likely to be the best route when visiting Seaworld and the International Drive area. 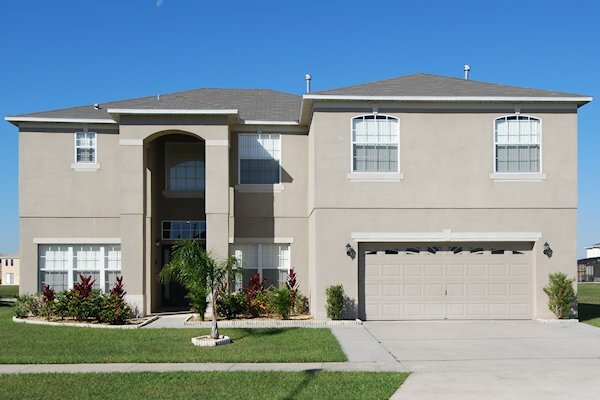 Being located between Kissimmee and Poinciana, local shops and restaurants are limited - with a 7-Eleven conveniently located at the junction of Poinciana Blvd and Orange Blossom Trail (CR532). Travel a little further down CR532 towards Kissimmee for more shops. These include a Walgreens, CVS pharmacy, Pizza Hut, MacDonalds, local Post Office, food mart, bank and even an animal clinic. The nearest supermarket is Publix at the intersection of Orange Blossom Trail and Pleasant Hill Road - which is just over 6 miles away. Although the Publix and WalMart on SR535 are probably en-route when heading back from the parks. When eating out, either head back up Poinciana Blvd towards the US192 (with its vast array of restaurants and eateries), west towards Loughman and ChampionsGate - which again has a number of restaurants (as well as a Publix supermarket) or east for downtown Kissimmee. Crescent Lakes is located around 9 miles south of highway US192 (the main road through to Kissimmee). The most straightforward driving route to Walt Disney World will be Poinciana Blvd through to the Lake Buena Vista area. For Universal Studios, SeaWorld and the International Drive area, head for Interstate 4 then north towards Orlando. Orlando International airport is accessible from Interstate 4, the SR417 Florida Greeneway and the Beachline Expressway SR528. These also provide a route to Kennedy Space Center and Cocoa Beach. For the Gulf coast and Busch Gardens, head for Interstate 4 then south towards Tampa. For Legoland Florida, head south on highway US27 at the intersection with Interstate 4. 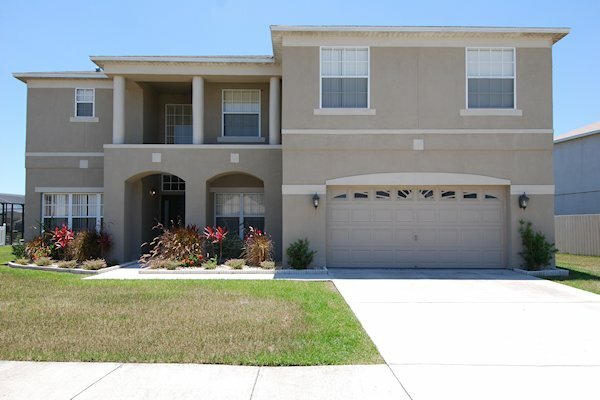 7 bedroom home with 4 bathrooms and maintained to the highest standards. 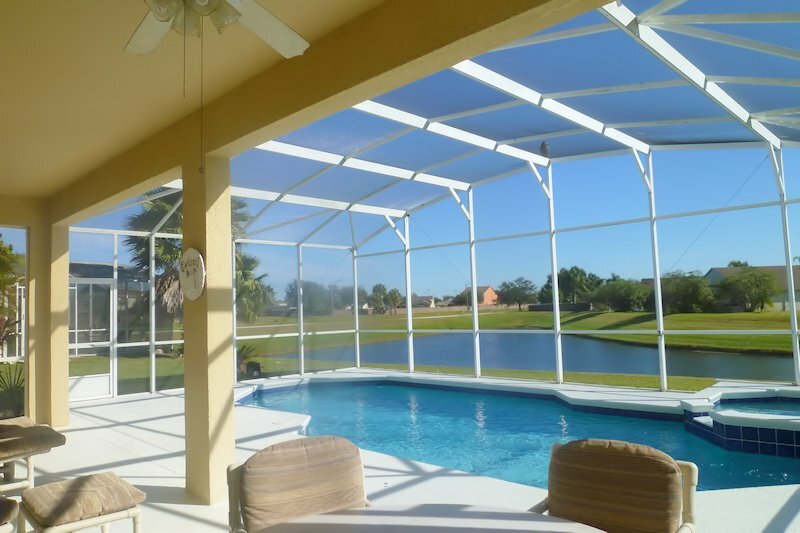 Stunning Lake View home in an exceptional location with more privacy and seclusion than most homes in the Orlando area. This means that my guests can relax and unwind in a unique and tranquil setting whilst still being close to all the area’s main attractions. 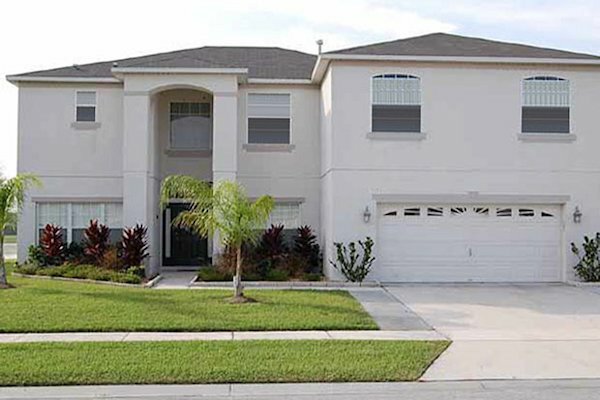 Like many routes that branch off of the US192 highway, Poinciana Boulevard provides the main thoroughfare between the theme parks, shops and restaurants to the established villa communities that border it. Head along it for a couple of miles and you feel like you are in the countryside. Recent widening improvements to the road and better street lighting now make this a more palatable drive and an excellent base for visitors to the area. South of the junction with Orange Blossom Trail is the approach to the city of Poinciana. This is very much the southern side of Kissimmee, with big houses and lots of conservation lakeland.